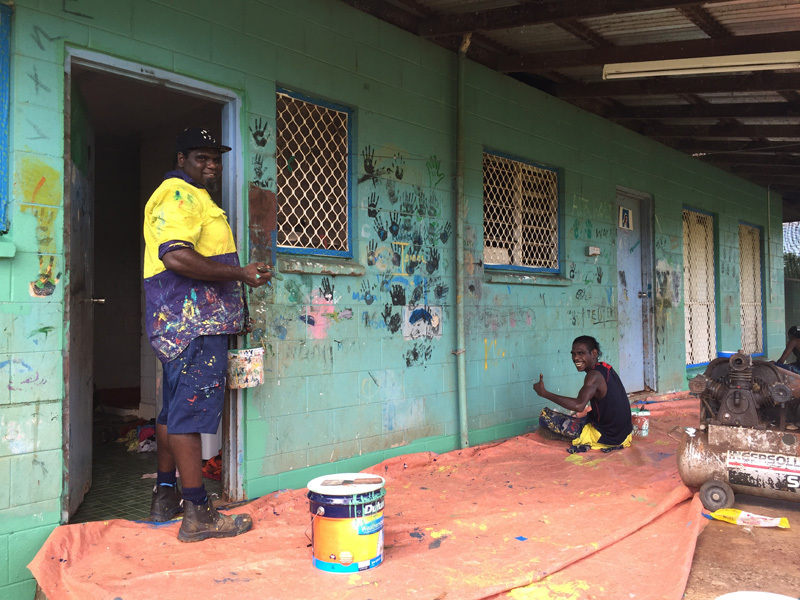 Thamarrurr Development Corporation (TDC) and the Department of Housing have successfully implemented an external painting program in Wadeye using resources sourced through existing contracts and the Community Development Project. A pilot program commenced in December 2015 in which ten properties were successfully completed. Following this, an additional 50 public housing properties were identified to be completed by the end of June 2016. The program has enabled eight local Indigenous people to become work ready and develop skills in the painting trade and has provided trainees with employment opportunities for future contractual works with TDC. The works being undertaken have given community members a sense of pride and achievement through having homes painted by local community members.